Michael W. M. Manoukian | Littler Mendelson P.C. 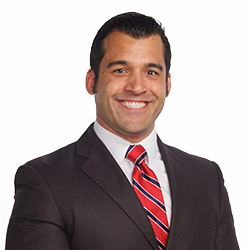 Before joining Littler, Michael served as a legal intern for the California Court of Appeal for the Fourth Appellate District, Division Three; the Superior Court for the County of Santa Clara, California; and the Equal Employment Opportunity Commission (EEOC). During law school, he was a board member for Honors Moot Court and acted as an American Bar Association competition coach. Michael continues to mentor law students as a competition coach for the American Bar Association Negotiation Competition. Active in the community, Michael volunteered at Santa Clara University School of Law’s Katharine & George Alexander Community Law Center, which provides pro bono legal advice and representation. He was also a volunteer law facilitator for the nonprofit organization Fresh Lifelines for Youth (FLY) in Milpitas, California.